This Dovo of Solingen “Astrale” 558130 straight razor is a magnificently crafted razor. 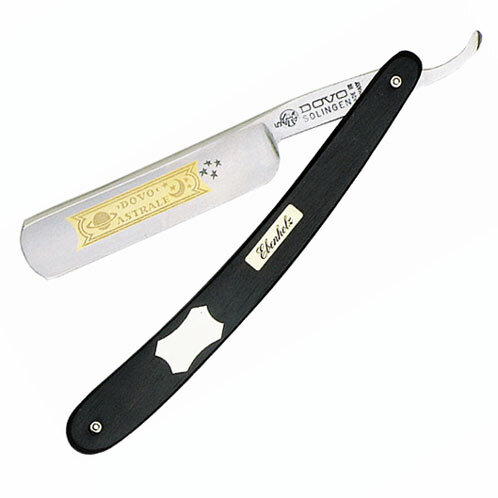 The carbon steel blade of the Astrale 558130 straight razor features 24k gold etching. The blade depth is 5/8″ and it is full hollow ground. The scales are an ebony black wood with an ebmedded engraving plate for a personal touch.